Born from one of the greatest first-person shooter games of all times, Counter Strike was an ambitious idea that in its genesis was just a Half Life mod. With some new and interesting concepts, it began to catch more attention. An economy system, punishing the player’s mistakes with restrictive respawn, high output damage from weapons in general and an online gameplay; details like these created a different experience for gamers and added a strategic component to the shooting genre. Because teamwork was of high importance in this game, it was not surprising that it became one of the first esports of all time and one of the best ones to boot. And it continues to be, helped by the fact that 12 years after the release of the first Counter Strike title, a new and improved version emerged. When Counter Strike Global Offensive began to sink in with the community, the betting industry decided to make it even more interesting by adding the odds dimension to the mix. Let’s have a deeper talk about the game so you have everything you need to know to become a CS GO gambler! 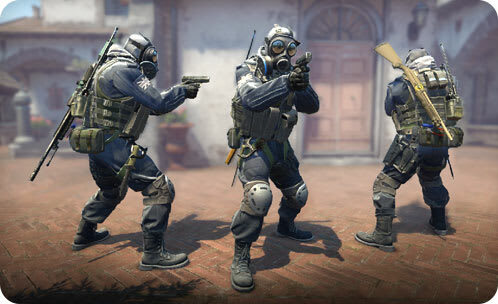 In the competitive world, Counter Strike Global Offensive is played in a 5v5 match that has 30 rounds. The objective depends on which side you landed on: if you are a terrorist, your job is to breach one of the designated points and to plant the bomb. However, this is not an easy task because the counter terrorists’ mission is to avoid the terrorist force on doing so. The terrorists win when they are able to plant and successfully defend the bomb until it explodes or if they are able to kill all the members in the counter terrorist team. If you are a counter terrorist, you win if you defuse the bomb or kill all the members of the terrorist team. After 15 rounds are played, the teams switch sides (terrorists play as counter terrorists and vice versa). If you think that Counter Strike is all about going in with guns blazing and trying to kill the entire enemy team, you might be disappointed. 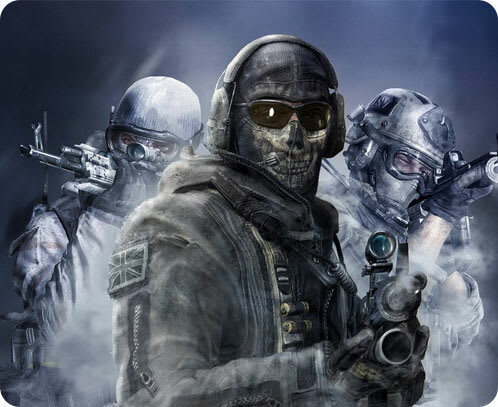 This is not your average FPS (First Person Shooter game) and it has a lot of strategical depth, mostly regarding its economic system, but we’ll get to that later when we are talking about the strategies that you need to comprehend to become a pro in CS GO betting. 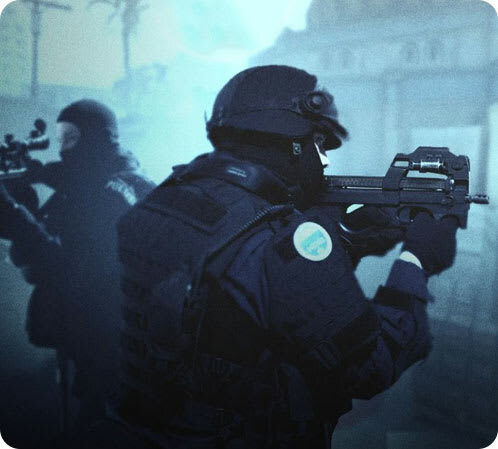 At any time, there are at least a couple of CS GO tournaments ongoing, so we always do our best to gather the most up to date information in order for you to bet on your favourite teams. The following tournaments, along with a great deal more, are in our odds offerings: BLAST Pro Series, EPICENTER, ESEA Premier Division, Esports Championship Series, Intel Extreme Masters and WESG. The first step for every newbie in the world of betting is to create an account to access esports betting on CSGO. After that you should start getting familiar with the odds. One way to do this, is by inspecting the offered odds for each CSGO event. Ask yourself: “Is this a fair representation of the team’s probability to win?” and “Are they talking into account all the necessary variables to calculate the odds?”. With some time and experience you will be able to evaluate the odds. The second step would be for you to choose an event to bet on. It is recommended to focus on one specific tournament at the time instead of going nuts and blindly betting on several ones. Well-analysed eSports bets are the ones that most likely will get you money in the long run – to get the game or tournament analysed, you must study the teams first. After making your pick, you can deposit money and start betting! Like many others competitive games, in CS GO, the economy system has a strong influence in the strategic component of the game. 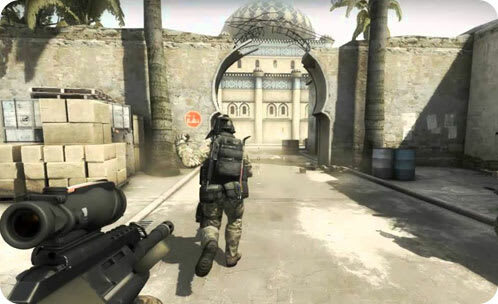 As we have stated before, CS GO is not your average FPS. This game has been able to differentiate from other titles due to the fact that you are able to buy your own guns and equipment at the start of each round and you are entirely free to spend it in whichever way possible. However, spending without thinking will result in a loss. Professional players have mastered the economy system to completely seize the advantages of a smart buying phase. The teams that are able to make the better decisions of what to buy and when to do it, should be ones that you bet your money on. Of course, elements like mechanical skills and teamwork are details that should be taken into account as well when making your bet, but always consider the impact of the economy system when making your decisions. You might be wondering how you can tell which team seizes the advantages of the CS GO economic system in a better way. In order to answer this question, it is important to realise that it is not only essential to understand fully how the system works, but equally important is being able to predict what the enemy team is going to buy. If you have an idea about what guns and equipment the enemy team is going to buy, your team can make decisions about what to acquire to counter these foes. This is not easy to do – especially at a professional level – so the teams that are able to utilise the tools mentioned previously in the best way are the wisest betting picks. The decisions regarding the economic system are so important that they even influence the pistol rounds. If you don’t know what a pistol round is: it is exactly what it sounds like! In rounds number 1 and 16 (just after half time), you start with $800, which means you can’t buy big weapons. You get pistols and have to decide if you should keep the default gun or buy a better one or (remember that instead of buying another pistol, you can also purchase armour or grenades.) It all depends of predicting what the other team is going to do (are they buying armour? How many of them?) and how your team is trying to counter them. Winning the pistol round is extremely important because it will give you an overwhelming advantage in future rounds, since your team will have more money to buy bigger weapons. In conclusion, if you are contemplating betting on a team, make sure to check out how often they win pistol rounds and how well they spend their money. Start your journey at Mr Green! When you register with Mr Green Sportsbook, you have the chance to take advantage of a welcome bonus which contains a £10 Acca bet (combination bet of 3). Wager minimum £10 in the Sportsbook on any odds of 4.0 or higher, and when the bet has settled the free Acca bet of £10 will be available in your bet slip. Remember to also read through the bonus requirements before you start play for real money. The most common betting market at Mr Green is the winner of a match. If you are given 2.25 on Team A to beat Team B, your payout will be €225 if Team A wins. Other markets you can place a bet on could be: who is going to win the tournament (outrights), who is going to win the first pistol round or if the same team is going to win the second pistol round? Live betting is perhaps one of the fastest growing betting market right now. By following the games live on Youtube or TV, you can at the same time study and bet on the odds in real time. The dynamics of live betting enhances the esports betting experience to the max! For the best results in CS GO betting, you should acquire great knowledge and conscience about the economic system. A thorough understanding of the strategies regarding this system is really important to make wise bets. Don’t just bet on who is going to win the match! Learn other betting markets, like outrights and live betting. It all depends on your perspective on a certain match and a specific tournament. A general tip but yet an important one: watch a lot of pro CS GO matches. You always have to know the latest about the players’ performances so you can make more accurate predictions. You will be amazed how much you can learn just by watching professional players perform. Try it out, it’s highly entertaining to watch and it is of great benefit if you want to succeed as a gambler.